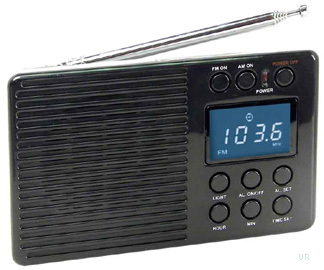 The Supersonic SC-1099 AM/FM/SW radio. The Supersonic SC-1099 is an inexpensive AM/FM/SW radio with digital readout. Note that this radio lacks many features that would make it a good performer on the SW bands. Reviews – Please contact us with published reviews. This entry was posted in Portables, Supersonic and tagged SC-1099, Supersonic, Supersonic SC-1099. Bookmark the permalink.